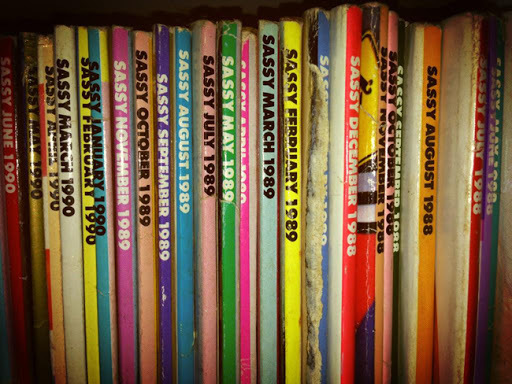 I was a massive fan of Sassy Magazine in the late 80s and early 90s. Midway through my January-cure organization overhaul, I found my stash of them in our garage. To say I was excited would be an understatement. I posted some tweets on my treasure and a great gal named Jolie Kerr asked if she could do a Q&A on me for Blackbook Magazine. Read it here. It is always great to know that you are not alone in your freakish obsession over mementos from your past.